Berlin-headquartered Ada is launching a Global Health Initiative, with its AI-powered app set to feature new Swahili and Romanian language integrations that will initially be deployed in East Africa and Romania through a partnership with Fondation Botnar to improve the health and wellbeing of families and children with limited access to healthcare. 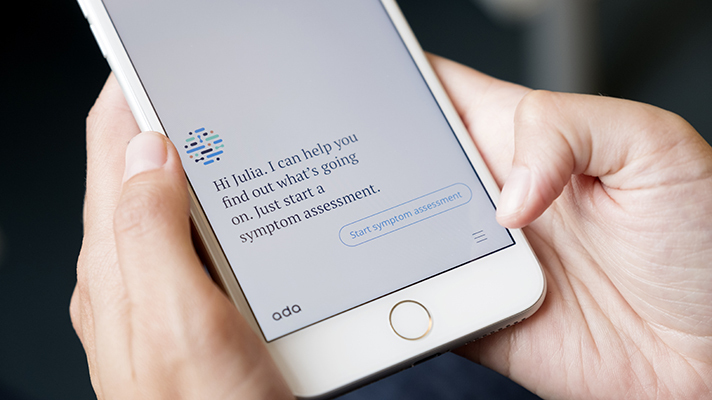 One of the world's fastest growing health apps in 2017, Ada Health's AI-powered tool was launched globally in late 2016 and its new project is estimated to reach two million people within the first three years. In Romania, the initiative will complement Fondation Botnar's existing work with a number of partners in a project run by Unicef in Bacău. The Swiss charitable foundation invests in AI and digital innovation to improve the health and wellbeing of children and their families by scaling proven solutions, set up in 2003 by Marcela Botnar to carry out the wishes of her late husband Octav Botnar, Datsun UK (later Nissan UK) founder, who became a philanthropist after the death of their daughter Camelia at the age of 20. Romania's healthcare system is facing a growing staffing shortage and a fragmented delivery of primary and community care. A 2017 study from the European Commission found that access to healthcare was "especially poor in rural areas". With nearly one third of Ada Health app users said to come from rural and less developed healthcare markets, Stefan Germann, Fondation Botnar’s first CEO, told MobiHealthNews that the new partnership would offer new opportunities to explore how technology could improve delivery of services in these areas. To see whether solutions they are investing in are "delivering what they are promising to", however, Germann said the foundation was establishing a strategic and learning assessment framework, acknowledging the lack of rigorous evaluation of digital health solutions. The next step for their partnership with Ada Health is to identify how they can integrate the technology effectively into health systems and make the "move from diagnostic evaluation to improved health outcomes". Hila Azadzoy, who was appointed by Ada in April to lead the Global Health Initiative as Managing Director, said the aim would be to "put AI into the hands of health workers". Separately, through its Global Health Initiative, Ada is also teaming up with the Gates Foundation to assess the efficacy of its AI technology in recommending specific diagnostic tests and improving outcomes for patients, analysing self-assessment cases from parts of Africa, Southeast Asia, South America and India. The project is set to help them identify which tests, when combined with AI, would have the biggest impact in low and middle-income countries, with an emphasis on preventing deadly epidemics. “Since launching Ada, we’ve heard hundreds of stories about how the app has improved or even saved lives. Often these stories come from parts of the world where it can be extremely difficult to see a doctor or get professional medical advice — but where people do own, or have access to, a smartphone. By partnering with organisations that share our vision for the future of healthcare, we are increasing Ada’s impact in developing economies, and moving forward our mission to make quality, personalised care a reality for everyone," said Daniel Nathrath, CEO and co-founder of Ada. Correction: This article has been updated to remove a pilot program that is still in development.